Skullsite is undergoing a complete makeover. Content is still being added from the old site so if you can’t find any information you are looking for, bear with us as we fully load the site. Almost 1600 species of birds are present in the database, use the search form at the bottom of this page to look for species you are interested in, or go to the order and family overview to browse the photo’s. 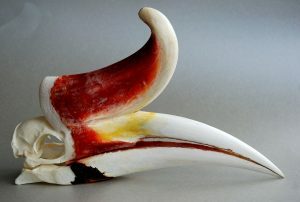 We are grateful to several museums that provided us with photographs of extinct species or allowed us to take pictures of different skulls in their collections. 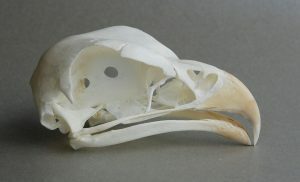 The dodo (Raphus cucullatus) is extinct since the second half of the 17th century. 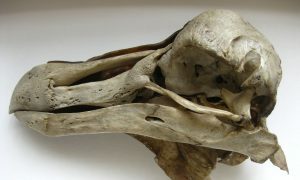 The dodo pictures show the only intact skull in existence (still covered with skin on one side), which was taken from the last surviving mounted specimen. Many thanks to the Oxford University Museum of Natural History for providing us with these pictures. 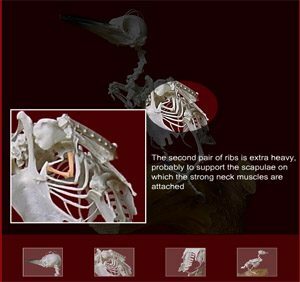 View the dodo and other extinct species. Common Buzzard, Northern Goshawk, Common Swift, Crossbill, Moorhen, Curlew, Tawny Owl, Fulmar, Black Woodpecker, Congo Peafowl, Griffon Vulture, Hyacinth Macaw, Maguari Stork and Papua Hornbill. 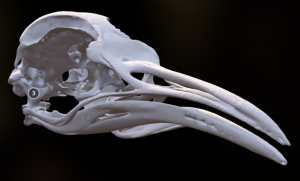 Experimental: Check out our page with interactive 3D models of bird skulls. More models will be added soon.